I enjoy reviewing offerings from The Boston Tea Company, as their teas (and rooibos blends) tend to be fairly decent mixtures of flavor with good bases. Today's review covers their Berry Twist, a rooibos blend flavored with blueberries, raspberries, and safflowers. 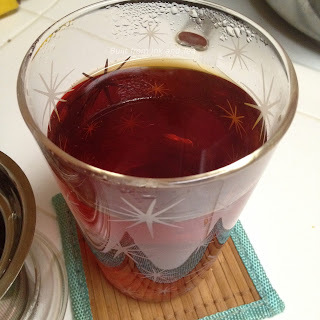 Rooibos is one of those great drinks that can be steeped indefinitely and will never get bitter. 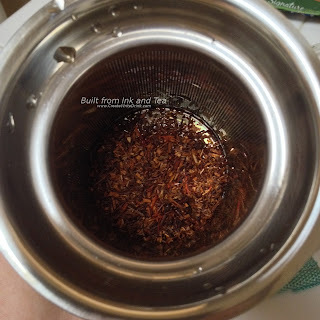 Any astringency that might arise from "oversteeping" rooibos is likely due to any additional ingredients. However, I have never personally encountered this! The Boston Tea Company suggests steeping for five to eight minutes. 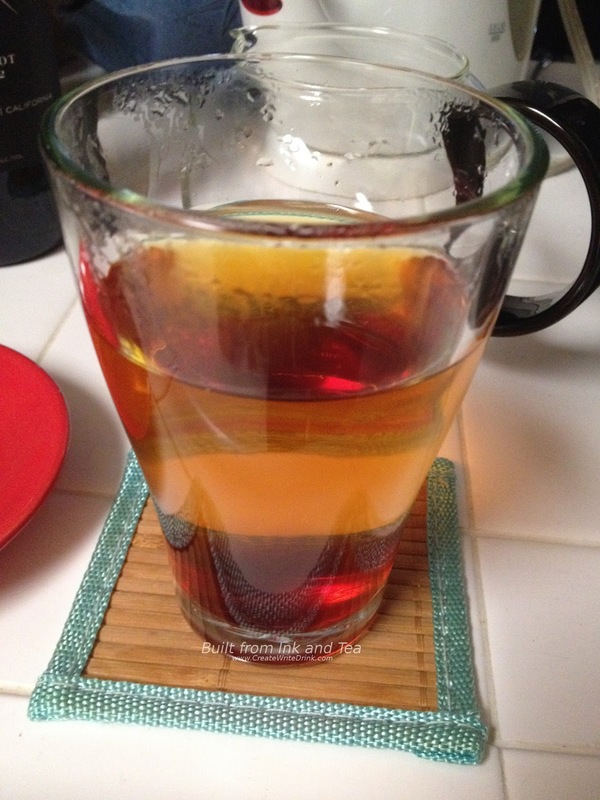 As I really enjoy my rooibos strong, I use just-boiled water and steep two teaspoons of rooibos in twelve ounces of water for the full eight minutes! The blueberry and raspberry aromas are really noticeable in the dry rooibos. Lingering in the background is a slight floral aroma, which I assume to be the safflower. If the cup tastes anything like the smell of the dry rooibos, this should be great! As it steeps, I take a whiff of the aromas floating from the mug. The balance impresses me. Whereas the rooibos had taken a backseat to the other aromas in the dry mixture, it really blends well into the smell of the steeping blend. In fact, it has almost gained prominence over the other notes. My first sip tastes...a bit underwhelming. 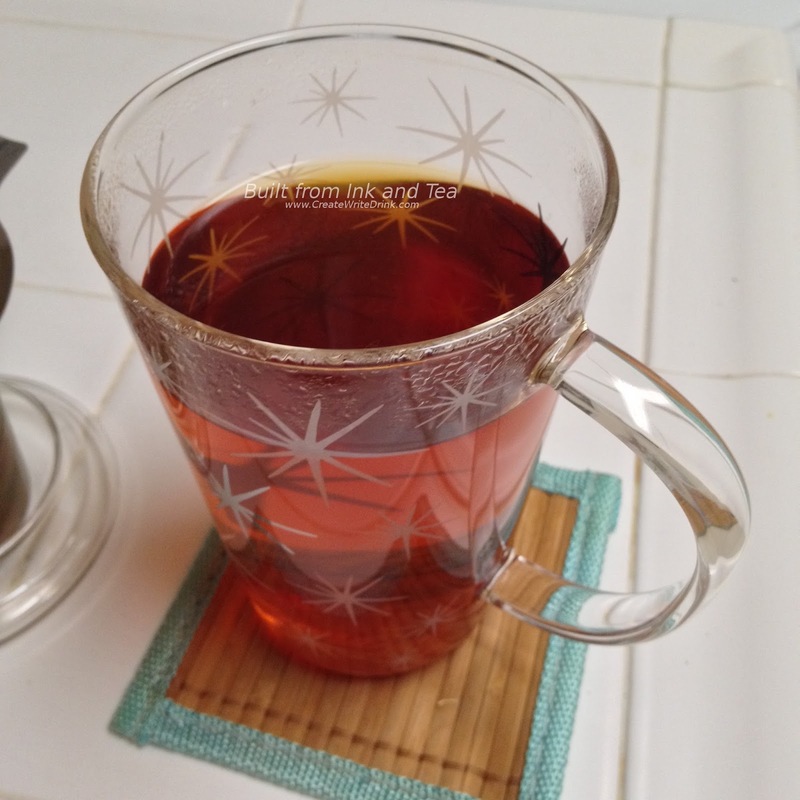 The rooibos tastes great, no question there, but the flavors of the additional blueberry and raspberry are much lighter than I anticipated, based on how the dry rooibos smelled. Both are noticeable, however, and the raspberry tickles the tongue upon first sipping, while the blueberry comes through more in the body of flavor. As I continue to sip, the fruit becomes more prominent, which is pleasant. Overall, I found that Berry Twist was a pretty decent rooibos. One could do much worse than this, and it made for a light beverage (some rooibos blends can be pretty heavy on flavor). On my personal enjoyment scale, I would rate Berry Twist an 80/100. The Boston Tea Company's Berry Twist is no longer available from their website. "My TWSBI Mini with its fine nib needed a new ink. 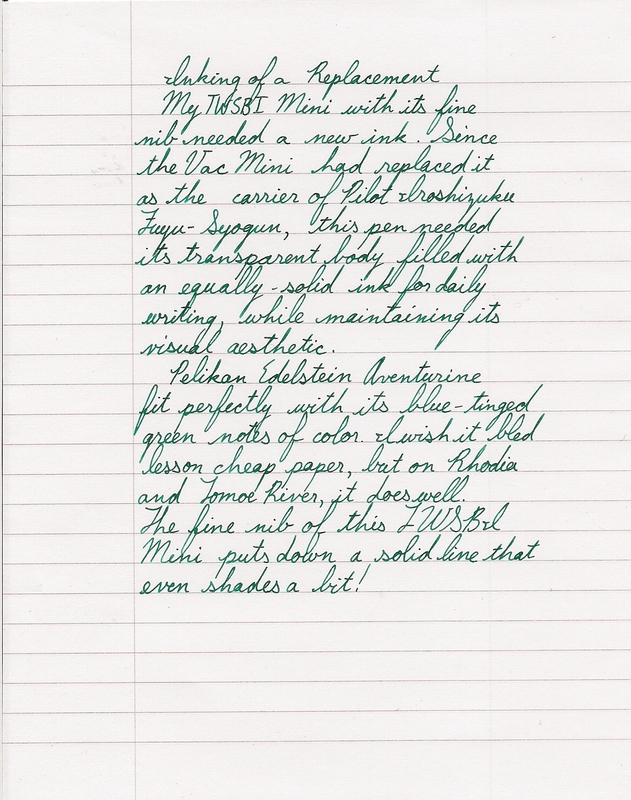 Since the Vac Mini had replaced it as the carrier of Pilot Iroshizuku Fuyu-Syogun, this pen needed its transparent body filled with an equally-solid ink for daily writing, while maintaining its visual aesthetic. 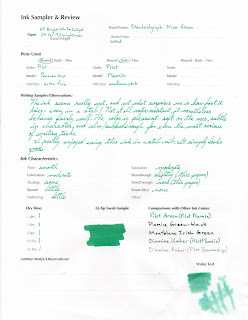 Pelikan Edelstein Aventurine fit perfectly with its blue-tinged green notes of color. 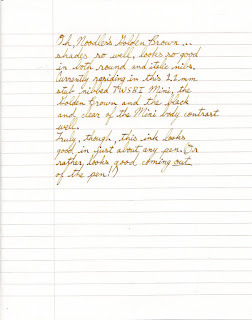 I wish it bled less on cheap paper, but on Rhodia and Tomoe River, it does well. 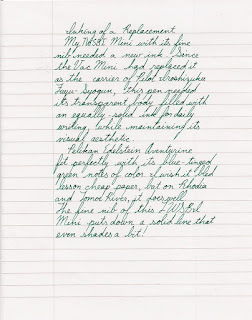 The fine nib on this TWSBI Mini puts down a solid line that even shades a bit!" 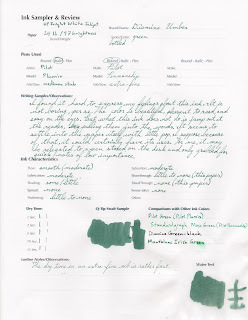 My review of Pelikan Edelstein Aventurine ink can be found here. Two teaspoons of tea and twelve ounces of just-boiled water, steeped for four minutes. The packaging suggests four to five minutes, but given that I am using a bit more tea than suggested, and due to the fact that I do not plan to add any milk or sugar, I opt for a shorter steep time. As a point of interest, DavidsTea no longer sells Pure Chai. They do, however, have nine other teas categorized as chai on their website, including several that are rooibos-based and one that is mate-based. It makes me wonder if "normal" chai simply did not sell well for some reason. Whereas the dry leaves smelled like an even combination of cinnamon and cloves, the cup of tea smells like cinnamon. Specifically, it smells like cinnamon candies. Hmmm, not quite what I would pick for chai...especially given that this and a bit of black tea is all that it smells like. Flavor-wise...this is really bland. That said, the spices are fine. The cinnamon still tastes strong. The black tea is noticeable. The cloves offer a bit of peppery-ness. Yet...overall this tea tastes like a bland mixture with extra cinnamon to cover over the mediocrity. I cannot in good conscience recommend this chai. The flavor was so-so. While there are many worse teas out there, including worse chai teas, this one did not offer the richness that I have found in other chai. One would be best to add sugar and milk to this chai, merely to liven it. On my personal enjoyment scale, I would give DavidsTea Pure Chai a 60/100. DavidsTea's Pure Chai is no longer available from their website. 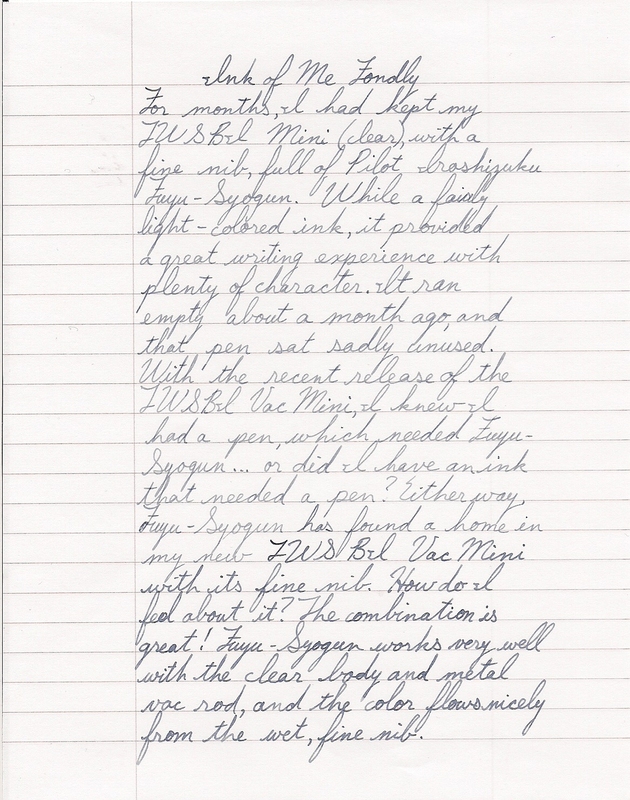 "For months, I had kept my TWSBI Mini (clear), with a fine nib, full of Pilot Iroshizuku Fuyu-Syogun. While a fairly light-colored ink, it provided a great writing experience with plenty of character. It ran empty about a month ago, and that pen sat sadly unused. 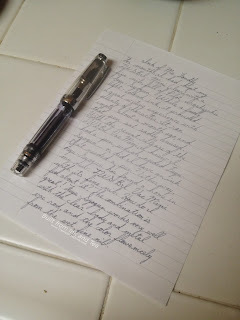 With the recent release of the TWSBI Vac Mini, I knew I had a pen, which needed Fuyu-Syogun...or did I have an ink that needed a pen? 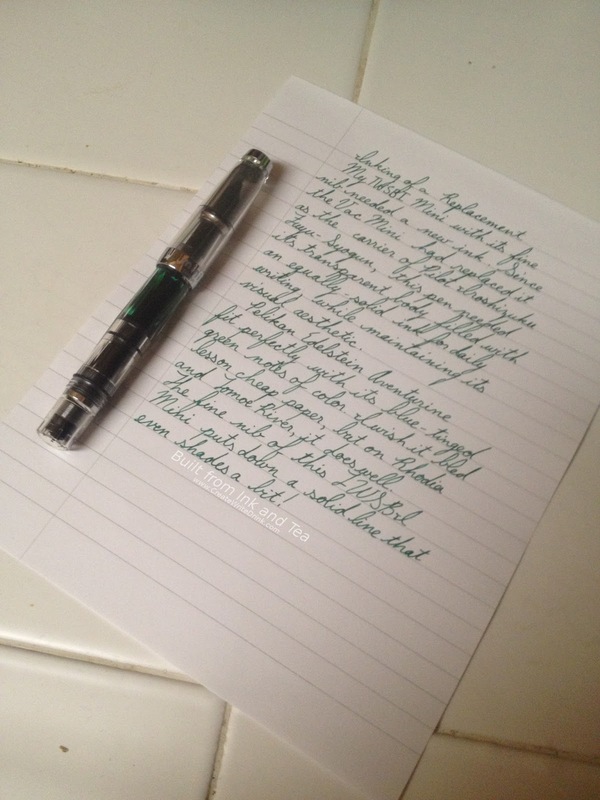 Either way, Fuyu-Syogun has found a home in my new TWSBI Vac Mini with its fine nib. The combination is great! Fuyu-Syogun works very well with the clear body and metal vac rod, and the color flows nicely from the wet, fine nib." 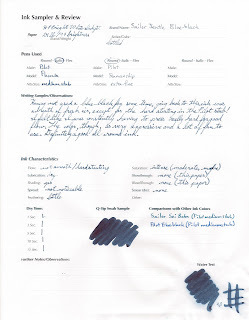 My review of Pilot Iroshizuku Fuyu-Syogun ink can be found here. Before getting into this week's review, I wanted to briefly cover what exactly "pouchong" is. Also known as baozhong, this variety of tea falls under the category of an oolong. However, pouchong teas are often very light, approaching a green tea in their flavor profiles. Sometimes, pouchong teas are even given their own categorization...lighter than an oolong but not quite a green tea. 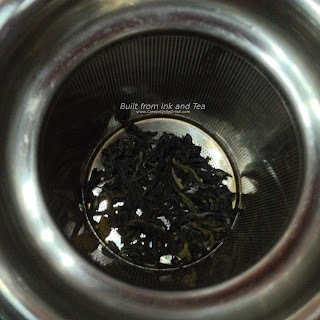 In today's review, we are drinking DavidTea's Pouchong Oolong. Due to the delicate nature of the leaves and their flavor, we are going to either boil our water and let it cool a bit or heat our water to nearly-boiling but stop heating it before it comes to a boil. This is much like the temperature we need for oolong teas in general, yet these will not be hurt by using the even cooler water, like you would for a green tea. 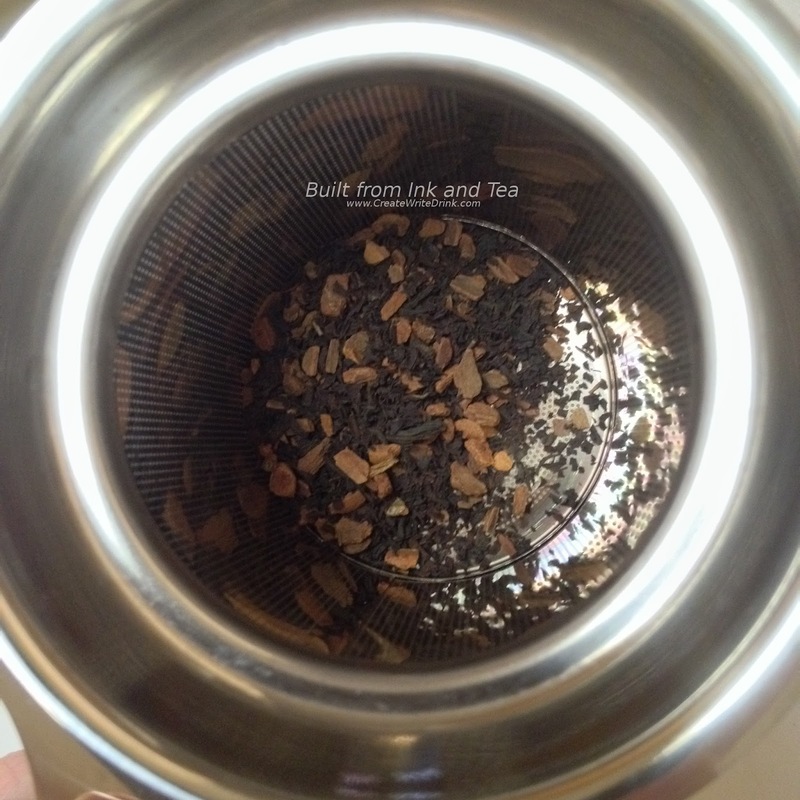 In my twelve ounce mug, I put two teaspoons of pouchong and set a timer for four minutes. 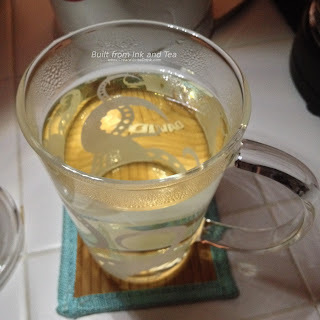 Pouchong, like other oolong teas, can be brewed in an eastern style, using a gaiwan or small teapot in a gong fu style. However, today we are going to use a western style of brewing for tasting this tea. The leaves are tightly wrapped/rolled, and it is pleasant to watch them unfurl in the hot water. Fragrant aromas waft from the container of dry leaves, rather vegetal like a green tea but with some forest-y notes, too. In many oolong teas, floral notes are prominent, this pouchong tends more toward a fruity sweetness (which is not to say there are any fruit flavors, the aromas are more natural and generic). Once released by the hot water, the aromas grow stronger. From the cup come moderately strong smells of green vegetation and some pine. It reminds me of a garden of vines in a cup. I take my first sip, and the flavors burst over the tongue. They are surprisingly intense. 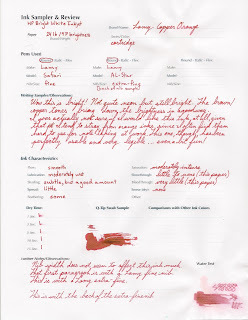 Rather smooth and very drinkable, the flavors taste complex and light, verging on delicate. A natural sweetness surrounds all the flavors, and the aftertaste is light and very reminiscent of a green tea. Yet, it seems like there are very few distinguishable flavors. I feel as though distinguishing different flavor notes is difficult with this pouchong. The overall taste of the tea is wonderful, yet the complexity seems hard to break-down. On my personal enjoyment scale, I would rate this tea an 89/100. DavidsTea's Pouchong Oolong is available from their website, here, and in DavidsTea retail stores. "Oh, Noodler's Golden Brown...shades so well, looks so good in both round and italic nibs. 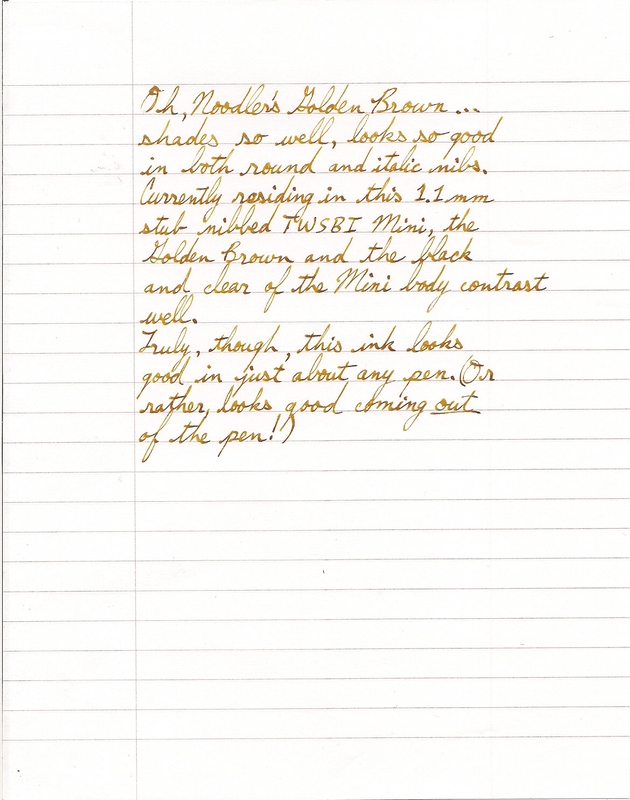 Currently residing in this 1.1 mm stub-nibbed TWSBI Mini, the Golden Brown and the black and clear of the Mini body contrast well. Truly, though, this ink looks good in just about any pen. (Or, rather, looks good coming out of the pen!)" 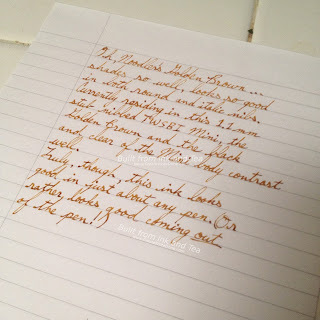 My review of Noodler's Golden Brown ink can be found here. Welcome to 2016! 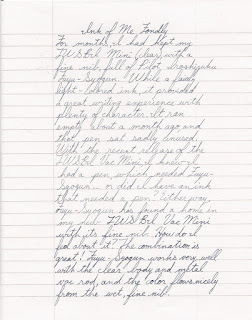 This year, I am looking forward to continuing to bring you great reviews! Boil some water. Put the teabag in a cup. Pour some water over the teabag and wait three to five minutes (three minutes in our case). Remove the teabag and enjoy! This cup smells strong and heavy on the apricot, as if someone had cut open a ripe apricot and put it in the tea. The black tea base can be noticed in the aroma, too, a not-very-malty smell with slight astringency. The flavors hit me hard with the first sip. Still juicy, the apricot is ripe and fresh, mixing with the flavors of the black tea, whose small amount of astringency brings some character to the cup. Otherwise, it goes down smooth. Three minutes seemed to be long enough to avoid any major bitterness, and I find that I have sipped through most of the tea before I realize it. 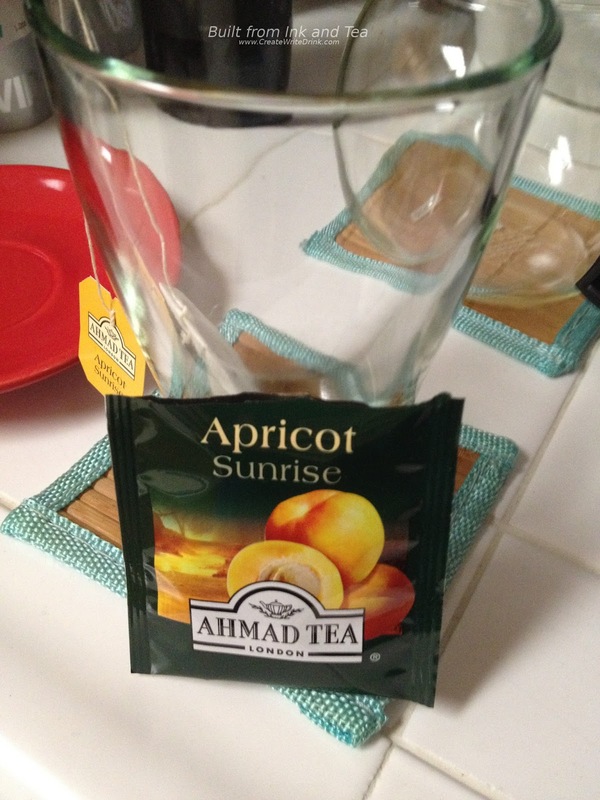 Apricot Sunrise provides a decent, rather juicy cup of black tea to get you going. On my personal enjoyment scale, I would rate this tea a 75/100. Ahmad Tea's Apricot Sunrise is available from their website, here.